Since the days of Jackson 5, Motown has always loved a bit of Christmas music. Though R&B star Brian McKnight lacks the sparkle than his disco counterparts, his holiday music is often just as infectious and can be particularly moving. 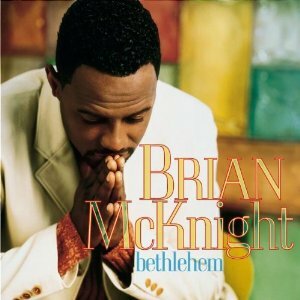 Brian McKnight reveals a hidden religious side on his 1998 album Bethlehem. The album opens with the sprightly gospel Hail Mary, setting the tone for an upbeat yet thought provoking look at the holiday season. McKnight includes originals such as Bethlehem Tonight and Let It Snow ’98 plus his own take on classics like Have Yourself a Merry Little Christmas. 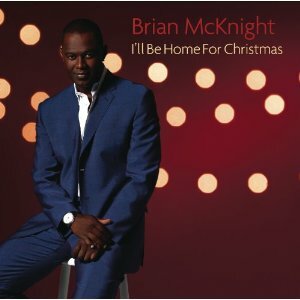 To emphasise the importance of family during the Christmas period, McKnight gathers his own clan for various sing-alongs throughout the album. His brothers, wife and sons all make an appearance, as do McKnight’s fellow R&B stars Boyz II Men. Like his first holiday album, I’ll Be Home For Christmas features Brian McKnight teaming up with various stars and family members. McKnight performs a great duet with Vince Gill, whilst Angels We Have Heard on High, featuring Josh Groban, is a beautifully subdued version of what is usually a high-intensity piece. McKnight’s sons make an appearance on Let it Snow, whilst the album closes with the rich harmonies of McKnight’s brothers in Bless This House. I’ll Be Home For Christmas is a varied and unique collection of carols and is the definite superior out of McKnight’s two holiday releases.